Is it possible to test whether small caps are available with the current font? Not the answer you're looking for? 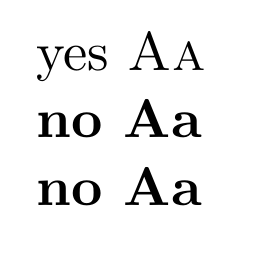 Browse other questions tagged fonts conditionals small-caps or ask your own question. Different small-caps in mathpazo and tgpagella - which are better? Is there a general method for obtaining small caps with custom fonts?